DO YOU HAVE WHAT IT TAKES? Are you interested in volunteering as a firefighter, EMT, or on our auxiliary? WE NEED YOUR HELP! 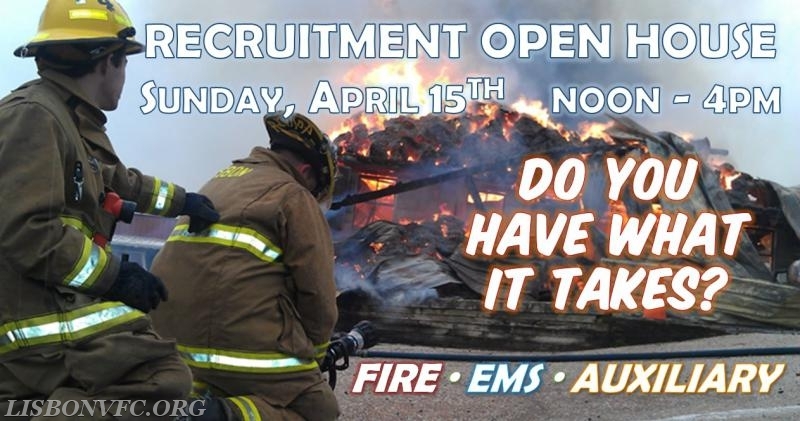 Stop by at our Recruitment Open House on Sunday, April 15th from noon-4pm to speak with our recruitment team and see if YOU HAVE WHAT IT TAKES!